Have you tried diets and programs that have not given you the results you are looking for? Are you looking for more energy and less trips to the coffee machine or the vending machine at 4 pm? Hi, It’s Deneen. I want to share my story with you. Both my husband and I lost our parents, grandparents and many other close relatives when they were in their 50s and 60s. With such a suspect gene pool, one might think that we and our daughters are doomed to suffer similar fates. However, together we made a commitment to break the cycle and take charge of our health and thus our destiny. Recent studies have proven that you can actually turn off genes that promote certain diseases by improving your diet and lifestyle . With inflammation as the culprit behind so many diseases, reducing inflammation through diet is invaluable. 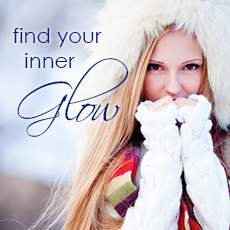 My Winter Detox is a great place to start on your journey to wellness. 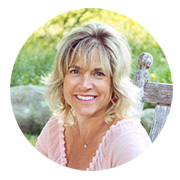 As a health coach, my mission is to share my knowledge to educate and empower my clients to achieve their goals for living an energized, passionate and long life. I am thrilled that you will be joining me! Did you know that the body carries around 5-10 pounds of toxicity (aka inflammation) that can lead to headaches, weight gain, and bloating? but that are actually contributing to the toxic load. A safe and effective detox will reduce toxins from the body that lead to cellulite, poor skin color, fat cells, and disease. Once you remove the foods that are sabotaging your success and decrease the toxicity, you will achieve your weight-loss goals. You will also feel 10 years younger. I will guide you step-by-step through a proven, 3-prong approach to detoxing your body. By the time you have completed your 11-day program, your body and mind will be revitalized. Did you know inflammation = weight gain and fatigue? Too often, people are confused about what to eat, and when that happens, we end up eating foods that stress our body instead of fuel it. Even though detoxing can be easy, support is essential. I created this program so you can have my support every step of the way through emails, a quick and easy manual, plus the online forum. Having created this detox based on the foods I eat in my own life, I know what works and what does not work. I want you to have a program that works: my 3-prong approach to decreasing inflammation and accessing your blueprint for healthy eating. I want you to be able to ditch the diet mentality, stop reading diet book after diet book, and get clear on what actually works for you. Embarking on this detox program, you will learn the physical and emotional tools you need to make life-long changes. An elimination diet is a great tool to use for a lifetime, as our bodies change day to day, season to season, and year to year. Are you Ready to Revitalize your Body? Detox does not have to be scary. It’s about letting go of what is not working for you anymore, both physically and emotionally. Once you let go, you access your freedom of both in body and mind. What’s Included In the Winter Detox? : a step-by-step guide showing you exactly how to detox in a safe and natural way. A Recipe Guide: You will have recipes that are created by a chef who understands the importance of improving digestion, decreasing inflammation and keeping you satisfied. An 11 Day Guide with Suggested Meals: You will never feel deprived, hungry or confused about what to eat or when to eat. A Success Kit: This kit has every tool you need to make your detox success last a lifetime. Plus you get a BONUS 30-Minute Post-Detox Strategy Session with me! During this time we can discuss your post detox strategy and get clear on how you can use the tools you learned during and use them in the rest of your life. Your Investment in yourself: Only $99 $49! During this program, you will be nourished by the most delicious foods with recipes created by a chef and raw food specialist. We worked hand in hand to make sure you do not feel deprived, depleted, or hungry. After purchasing you’ll be redirected to a registration page where you’ll create a username and password. IMPORTANT: Do not close out of your browser window after payment. 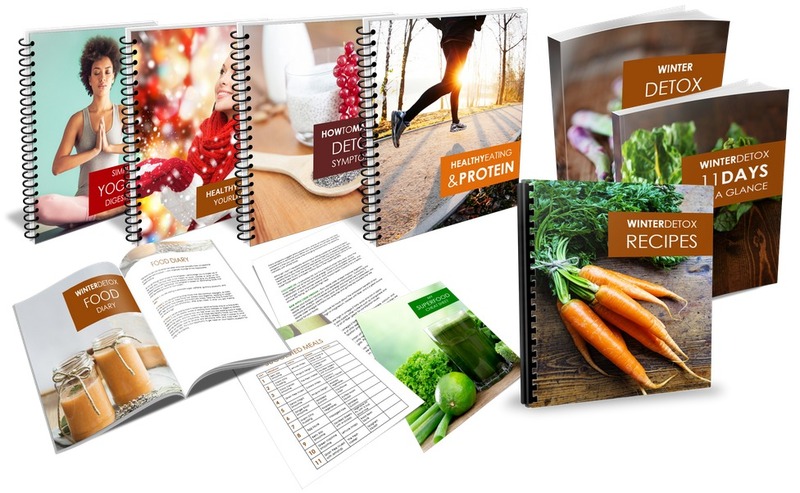 After registration you’ll receive immediate access to your all the materials with loads of information on how to detox your body, including suggested meals and a shopping list to make your program a success. Be prepared to get an email from me every day for the duration of the program with handouts, tips, action items and recipes that will teach you everything you need to know about eating well. Don’t worry, you can do everything at your own pace and all of the content is yours to keep forever. What’s the difference between a detox & a cleanse? In a detox, you are eliminating or reducing foods that may be wreaking havoc on your system. During a cleanse, you are diving deeper into cleansing a specific organ. Detox is about accessing the foods that are truly going to make you feel more alive and recharged, done in a safe and effective way. During this 11-Day program, you will learn exactly how to nourish your body, reduce unwanted toxicity in a proven 3-prong approach to the elimination diet. This 11-Day detox is not about starving, fasting, juicing, only drinking soups or smoothies, or buying lots of supplements. This 11-Day program is about learning how to eat for your unique body. Will I be tired during this detox? You may experience some detox symptoms that have you feeling sluggish on day 1 but I walk you step-by-step on how to reduce unwanted symptoms from detox.